The Eve Appeal was founded by Professor Ian Jacobs, a newly qualified doctor and trainee surgeon, who was horrified by the low survival rates of women with advanced ovarian cancer, and began to search for a way of screening women for ovarian cancer. Then came a collaboration between Ian Jacobs and Peter Vagn-Jensen after Peter's wife, Lone, was diagnosed with ovarian cancer in 1996. They decided to try and tackle the disease head-on. Sadly, even the best treatments were ultimately unable to save Lone’s life. 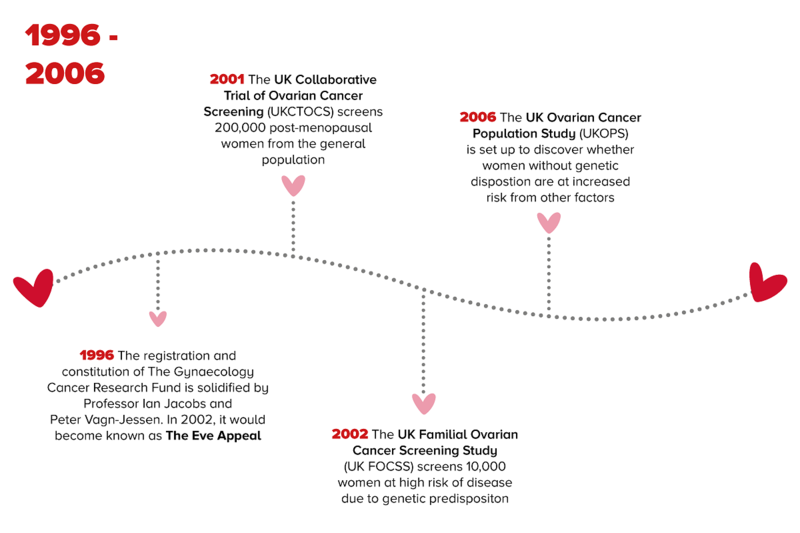 Although our original focus began with ovarian cancer, a disease that has a high mortality rate because it is so often diagnosed too late, the research we fund aims to improve early detection, risk-prediction and prevention of all five gynaecological cancers. If you'd like to learn more about our roots and our history, please see more in-depth details below. As a young gynaecologist in the 1980’s, Professor Jacobs was appalled by the poor survival rates of the women he saw with advanced stage ovarian cancer. He developed our vision – a future where fewer women develop and more women survive gynaecological cancers – and we together are determined to make it a reality. He founded the Gynaecology Cancer Research Fund and was registered with the Charity Commission shortly after. Professor Ian Jacobs and Peter Vagn-Jensen revised the registration and constitution of Gynaecology Cancer Research Fund. The charity later became known as The Eve Appeal in 2002. 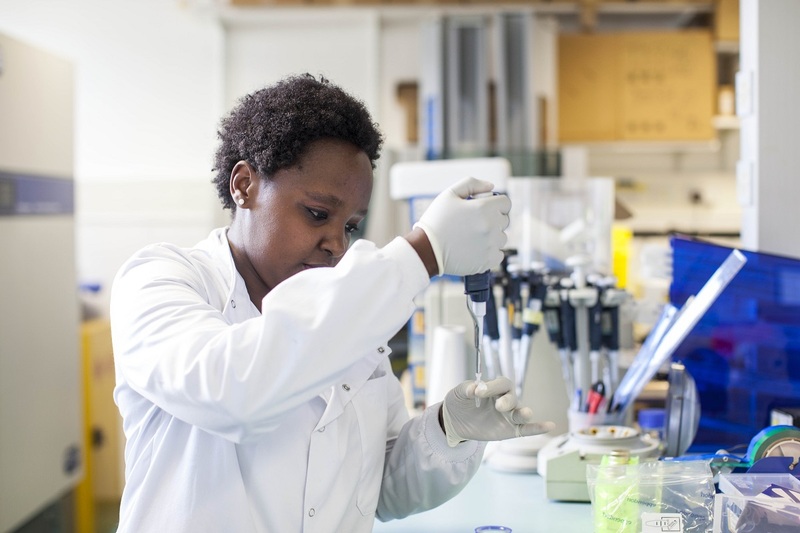 Since its inception the charity has funded ground-breaking medical research focused on the risk prediction, earlier detection and ultimately prevention of women only cancers. The UK Collaborative Trial of Ovarian Cancer Screening (UKCTOCS) launches, the world’s largest randomised controlled trial, involving 200,000 women, investigates whether screening for ovarian cancer can save lives. The UK Familial Ovarian Cancer Screening Study (UK FOCSS) begins, a trial focusing on testing the efficacy of ovarian cancer screening for those women who are at high risk of developing ovarian cancer due to a genetic predisposition. The UK Ovarian Cancer Population Study (UKOPS) was set up to discover whether the 90% of sporadic ovarian cancer cases – those women without an established genetic predisposition – have other genetic and epidemiological factors that increase their risk. The Genetic Cancer Prediction through Population Screening (GCaPPS) study looked into the feasibility of population based screening for BRCA 1 and BRCA 2 gene mutations versus the current family history based screening methodology, in the high prevalence population group of the Ashkenazi Jewish community. Predicting Risk of Ovarian Malignancies Improved Screening and Early Detection (PROMISE) aims to identify new biomarkers and develop screening algorithms for the early detection of ovarian cancer. Leading to a pilot study to investigate the uptake and feasibility of a stratifying the population for ovarian cancer risk. 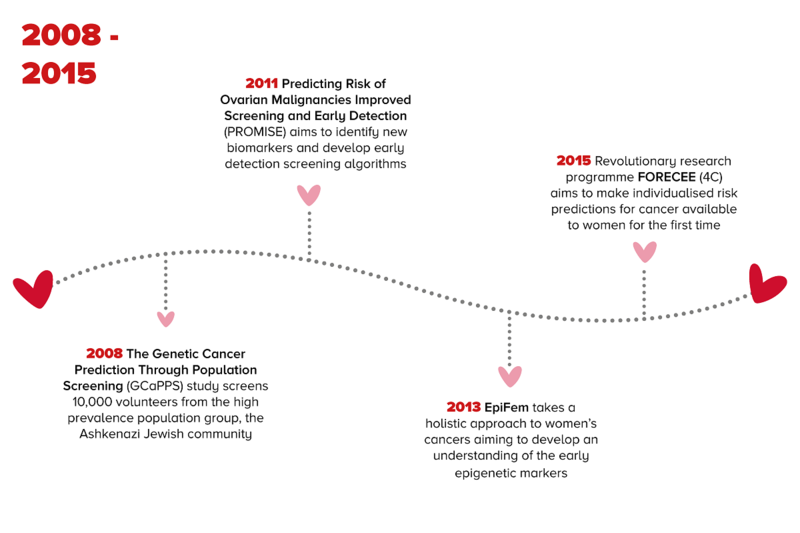 EpiFem took a holistic approach to women’s cancers aiming to develop an understanding of the early epigenetic markers of these cancers, this work led on to the ground-breaking FORECEE (4C) programme. Launch of the BRCA Protect Research Clinic which aims to understand the molecular events which lead to breast and ovarian cancer, with the hope of developing new preventative measures to enable women to reduce their risk of cancer. UKCTOCS results suggest that screening via an annual blood tests may reduce the number of women dying from ovarian cancer by around 20%. The results – whilst encouraging – are not yet definitive and so 3 years follow up is underway to assess the full impact on women’s survival rates. 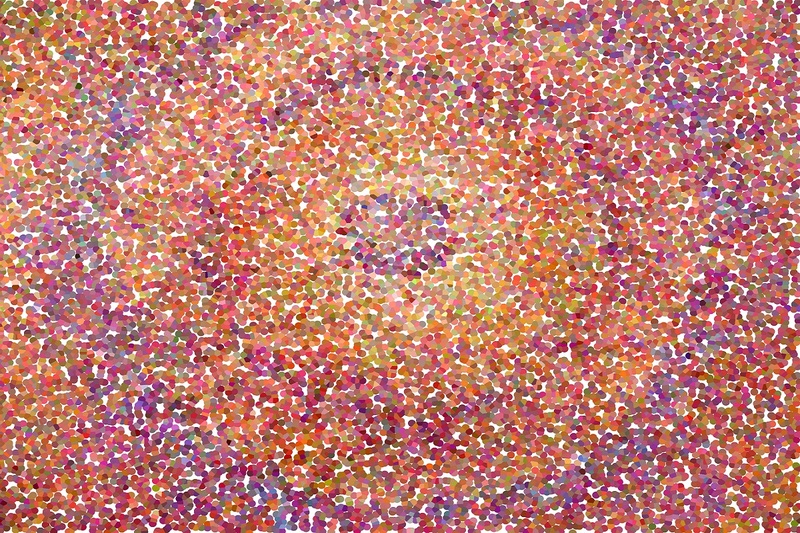 FORECEE (4C) aims to make individualised risk predictions for cancer available to women for the first time, by looking for molecular markers in cervical cells – taken from a regular smear test – that can predict the risk of them developing any one of four cancers: breast, cervical, ovarian and womb. In October, The Eve Appeal were the first beneficiary of the Tampon Tax Fund – awarded by then Chancellor of the Exchequer, George Osborne. This significant donation helped to achieve our aim of funding our FORECEE project. Launch of specialist gynae cancer information service – Ask Eve – which offers information and support on all five gynaecological cancers, helping women and men who have any type of gynae-related question. In September, we launched our awareness landmark to sit alongside Gynaecological Cancer Awareness Month – Know Your Body – which sought to change perceptions around talking about gynae health issues with loved ones and healthcare professionals, and to ensure that we normalised the topic amongst both men and women. 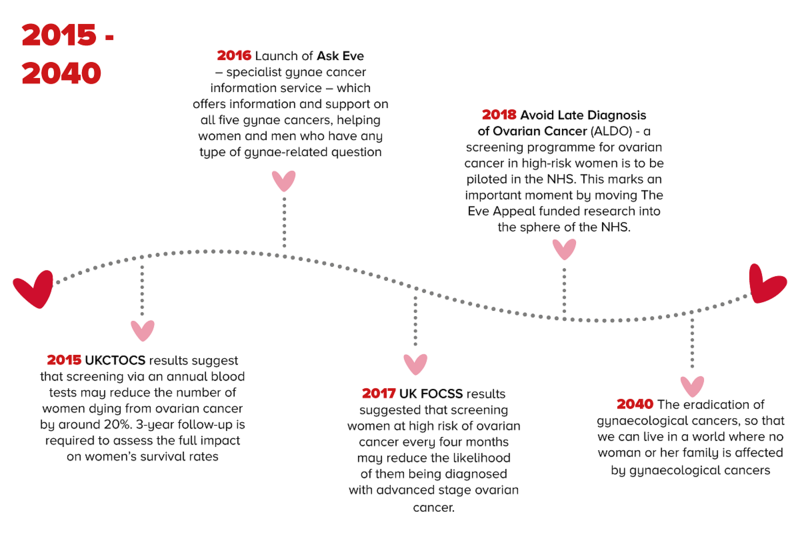 In February, UK FOCSS results suggested that screening women at high risk of ovarian cancer every four months may reduce the likelihood of them being diagnosed with advanced stage ovarian cancer. This makes frequent screening a potential option for high risk women until they decide to undergo risk reducing surgery. 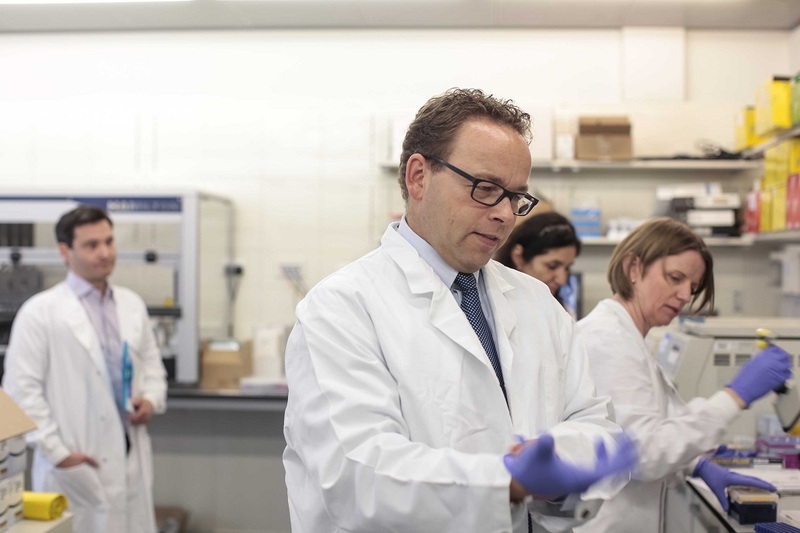 The European Research Council awarded Eve Appeal lead-researcher Professor Martin Widschwendter the prestigious ERC Advance Award of 2.5 million euros in September, after an Eve Appeal funded BRCA Research Clinic delivers significant results. Whilst in mid-January the GCaPPS Stage 2 results were published which demonstrated that screening the entire population for breast and ovarian cancer gene mutations, as opposed to just those at high-risk of carrying this mutation, is cost effective and could prevent more ovarian and breast cancers than the current clinical approach. Researchers believe that testing all British women over 30 years age could result in thousands fewer cases of ovarian and breast cancer; up to 17,000 fewer ovarian cancers and 64,000 fewer breast cancers. Avoid Late Diagnosis of Ovarian Cancer (ALDO) – a screening programme for ovarian cancer in high-risk women is to be piloted in the NHS. This marks an important moment by moving The Eve Appeal funded research into the sphere of the NHS. What makes The Eve Appeal Different? We are the only national charity on a mission to raise awareness and funds to protect women from all the women specific cancers. We have a razor sharp focus on the risk prediction and early detection of female cancers as we believe that this will have the biggest impact in numbers of lives saved. Our research has already achieved major breakthroughs towards improving survival rates of women with gynaecological cancers. We fund cutting edge projects where conventional research funding harder to find. Our funding leverages further funding from other research funding sources. A panel of independent scientists estimated that for every £1 invested by The Eve Appeal, £14 was leveraged from other sources.